In the research on the counterinsurgency and Human Terrain in Afghanistan, we major on the ways used in countering the insurgency. First, the research talks about the skills used by the insurgents to promote terrorism around the globe. It continues by suggesting the methods that will be used in defeating and winning. It suggests new technological ways which should be implemented in attacking and conquering the strong holds that host the insurgents. Through the improvisation of new technology, the security forces secure important information that in turn helps them to find out about their new plans in harming others. Generally the research paper talks about the ways the U.S and other NATO security forces counter the terrorist attacks that have become a national threat. US Military involvement in Afghanistan has raised a lot of debate since it started in 2001, but most of this is focused on the military strategy they have been using which has been mainly described as “kill and capture”(Johnson & Mason, 2007). 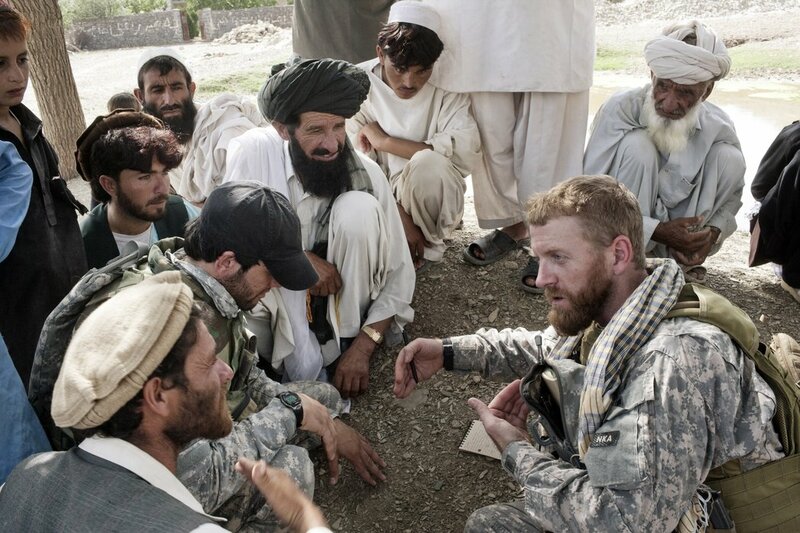 Counterinsurgency is a strategy the US army has been using which has also raised opposition. A US Army colonel, Gian Gentile, who is opposed to the use of this strategy in Afghanistan, said in October that the US army is using this strategy without serious examination of it and its extent (Jones, 2008). In order to understand the concept of Counterinsurgency or simply COIN as it is simplified one must understand what insurgency is. An insurgency is defined by Gordon, (2009) as an armed rebellion by guerilla groups against an established government or authority. The department of defense defines this as “an organized, armed political struggle whose goal may be seizure of power through revolutionary takeover and replacement of the existing government” (Nyberg, 1991). Counterinsurgency on the other hand is defined as a military, paramilitary, political, and economic and also Psychological and civic actions taken by the government in defeating insurgency” (Kilcullen, 2007). A comprehensive counterinsurgency strategy can be employed Afghanistan successful, if it is well understood and given its necessary support. The word insurgency originated from a Latin word insurgo which means to rise up (Gordon, 2009). Insurgency is mainly meant to weaken the control of established governments or authorities while amassing this power to the insurgents. Insurgency is therefore the political struggle between the authority in power and a challenger that uses violence as a tool of struggle In order to provoke and gain power from the established authority. Insurgents use several tactics (Cassidy, 2006). They include provocation of the authority by nihilistic attack on civilian targets such as the case of the 2001 twin tower attacks on World Trade Center in New York. This was to provoke the country to use military force which is what happened when George Bush attacked Iraq after promising that whoever was behind the bomb blast will hear from America (Price, 2009). Another tactic they use is exhaustion measures. They try to get the counterinsurgency forces to adopt measures or actions that do not necessarily advance their mission but only use a lot of effort such as garrisons, conveys and guards among others. The insurgents draw their support in terms of food, water, ammunitions and intelligence supply from the population of civilians in their communities. These may not be willing participants and therefore they terrify them through violent acts and threats in order to make them cooperate. They might also play this tactic with security forces and civil administration. Insurgents also prolong the conflict so as to exhaust the counterinsurgency forces, control their loss rates and try to match setbacks with strengths. They might lie low for a while as they recruit and train after a loss and also replace a leader immediately when one falls (Department of the Army, 2009). The first and the most natural response after an attack on civilian targets such as the bombing of Kirkuk Girls’ school in Iraq on 2nd April 2007 by Al-Qaida is that authorities send troops to find and capture or avenge the people (Jones, 2008). This is obviously a trap and is meant to provoke them. The force is seen as an effective counter measure and also internal political among the government supporters want that. This is counterproductive in that insurgents have managed to convince their communities in which they are fighting from, that they share their grievances which are political, economic or religious which the governments have ignored. Counter attack measures reinforce this propaganda in the minds of the people on how the government is not willing to listen to them or are against them. This is the reason any strategies taken to counter insurgency must be well thought out (Gordon, 2009). This is where counterinsurgency strategy comes in. The perpetrators of violent attacks against civilians must be pursued and wiped out completely but, with measured application of force (Metz & Millen, 2003). This means minimum effective force of arms that puts emphasis on ‘effective’ since failure to respond will encourage more attacks and wavering in the face of attacks on civilians will be interpreted as weakness. Unlike the insurgents with no responsibility, the counterinsurgency forces have the power and responsibility. Political propagandas perpetuated by the insurgents must be dealt with in all means. Counterinsurgency as a military strategy provides for this since it provides opportunities for political peace, economic opportunities and displays respect for the local people and engage them in finding lasting solution. In another report by Gordon, (2009) says that counterinsurgency does not involve only military units but it also involves establishing and solving the under laying issues that bring dissatisfaction in the current government among the population. This will involve many aspects such as dealing with land issues, unemployment, oppressive regimes and ethnical conflicts or tensions, all in the menu for finding a lasting solution. The officers involved will find themselves negotiating political deals, dealing with nonmilitary organizations and other countries, providing basic serves such as water and health care, speaking a language that is foreign to them and communicating the progress to the interested parties. Counterinsurgency outlines a long range plan that combines tactics of offensive, defensive and stability operations as the Department of the Army, (2009) manual outlines. In order to achieve a balance between these functions, the tactical units must divide their efforts well in seven lines of action. These are to establishing security of the population, establish civil control, support the government forces, support governance, restore or provide basic services, support economic and infrastructure development and conduct intelligence or information engagement. This is referred to as unity of effort which is very important in defeating the insurgents, offering security to the population and gaining the support of the people. This is not a mean feat but US forces doing the battle in Afghanistan must exercise tactical patience, good judgment and innovation in order to beat the insurgents in the country. Counterinsurgency involved five tactics as discussed by (Joes, 2004). These include: Population control or what is referred to as “drain the water.” It is a tactic that involves relocating the population where insurgents are getting support to another area which is more secure. By isolating the insurgents they are left with no supplies and cover and this makes their capture easier. This tactic was widely used in South Vietnam by the US forces. Rural populations were relocated to secured camps known as strategic hamlets and crop land sprayed with Agent Orange spray to destroy resources for Viet Cong. Other such measures used by the Australian army to control population are vehicle and personnel checkpoints and national identity cards. The second tactic is the oil spot which refers to concentrating counterinsurgency forces in a secured region that they are continually expanding. This also was used by the US in Vietnam again as Strategic hamlet program. The third tactic is cordon and search. In this tactic, an area or premises is coded off and searched for insurgents or weapons. This is used in recent times as a principle called Stability and Support Operations (SASO) where there is no enough intelligence to warrant an intense search. It is mainly used in neighborhoods in urban areas and aims to cause as little inconvenience to the inhabitants as possible. Air craft operation is another tactic used which involves use of aircrafts in intelligence gathering, surveillance, transportation of both combatants and civilian and supplies and reconnaissance. Finally, public diplomacy is used to secure strong relations with the local population of natives. One goal of COIN is to defeat the insurgents and rendering them UN influential and ineffective. This is accomplished by winning over the population that supports them. This is done by a complete understanding of the natives, their culture, their relationship[s with insurgents, nongovernmental organizations in the area and their views and opinions of the insurgency and the authority in power. The counters urgency strategy as explained above requires a lot of public diplomacy. This is a gap that had been missing in the army operations in the battlefields around the world and was inspired by the US army experience in Vietnam during the Vietnam War. It was first suggested in 2005 by Montgomery McFate and Andrea Jackson in their article “An organizational Solution for the Department of Defense’s Cultural Knowledge Needs” (Human Terrain System, 2011). According to the HTS website this team of experts is deployed to conduct empirical research and analysis on the socio-cultural environment of the specific social groups on the ground of operation and maintain a current and relevant knowledge base. This knowledge guides the commander’s military decision making. This program is not involved in the combat operations of the military but help in understanding the local population to deployed combat teams (Gordon, 2009). According to Human Terrain System, (2011), the work and purpose of the HTS is outlined in the contractor memo the HTS in Afghanistan and Iraq helping the commanders understand why the people were guiding the enemy and their hostility towards the US army. The contact also specifically pointed out that HTS team would not accompany the Brigade Combat Teams (BCT) in their patrols but they would remain in the Green Zones and work on the findings of the experience of BCT from the field patrols for their analysis. The HTS was integrated into the Army as part of the intelligence or information function. It is now designed to specifically to guide brigade commanders and their team understands and addresses cultural aspects of the population in Afghanistan and Iraq in the operational and tactical levels. This focuses on social, ethnographic, cultural, economic and political elements of the host communities and in which the insurgents operate. This has revolutionaries the traditional intelligence systems by bringing focus to cultural dimensions such as language, values of the local community in preparation of staff on mission (Gordon, 2009). A social scientist, Montgomery McFate joined the army HTS team in 2007 and has helped develop a CPE database that allows gathering of information on local populations and regular updates. In Afghanistan the program has been able to create databases for local leaders, tribes, political disputes, economic issues amid social problems. The HTS have encountered its share of criticism. The biggest criticism has come from anthropologists no less, citing ethical concerns regarding the reports generated by the program (Metz & Millen, 2003). The concern is that the reports can be used by military and intelligence agencies in a manner that make the subjects of the research susceptible. They cite that the program lacks ethical safeguard for the population researched such as the leak of the Human Terrain Systems handbook that wiki leaks got access to (Price, 2009). Another criticism is leveled on the resources it is using. By 2009 the program had 400 employees operating under private contractors thought it has been a part of the army. In 2007, the US Defense Secretary authorized a $40 million expansion program for HTS amid accusations of financial mismanagement. Vepisonage and deaths of staff is another thing being leveled agonist HTS program. By 2009 three members of staff of HTS were killed in course of their work while one of them was charged in a court of law for killing an Afghan who attacked his colleague, a social scientist paula Loyd (Price, 2009). Insurgency began in 2002 in Afghanistan as groups such as Taliban began a sustained effort to overthrow the government. Since then they have continually undermined the government in its efforts to establish a national government. The most active groups are the Taliban which Al Quida backed and the Gulbuddin Hekmatyar’s faction of the Hizb-i-Islami HiG which mostly operate in the South and East part of the along the Pakistan boarder (Barno, 2006). The attacks by these groups are mainly aimed at provoking the American Army to counter their reprisals “kill and capture” manner which are consistently failing (Cassidy, 2006) suggests that the best way to deal with the insurgents in this country is adopting a strategy that will focused on reconstruction and massive economic development. This will enable the populations in these area experience tangible benefits from president Karzai’s government which will make more legitimate to them. Metz & Millen, (2003) reports that insurgency in Afghanistan originates from three basic problems in the country. First is the lack of state structure and the inability to of the Karzai government to reach or create presence all over the country, then the failure to secure rural area so that economic development and reconstruction can take root and finally lack of improvement in the lives of the most of the people in the southern part of the country. In another report (Mazzetti, Perlez, Schmitt, & Lehren, 2010) says that there is clearly a lack of understanding of the Taliban in the western world. To the west they are robed, bearded men wielding guns and Qurans and generally instituting cruel policies and angry at the whole world. No effort was made in the start of occupation by the America and NATO to understand them. There was no understanding of the soviet occupation of Afghanistan and its influence, Islamic traditions and the ethnic, tribal and linguistic phenomenon of the Taliban’s. In the mixture of all this is the effect of the Pakistan boarder on the Taliban and their rise. Though the American soldiers and Marines and NATO forces have been in the country up to date, a lasting stability is not something that has been experienced. Reports of 2006 indicate that more than 340 soldiers and Marines have been killed. In The first five months of 2006 insurgency attacks increased by 200% as (Jones, 2008) reports compared to those of a similar period in 2005. The years have also seen insurgency groups organize themselves into big attack groups of about 100 fighters carrying out assaults on secured government posts. It believed that the group had about 12,000 fighters by 2007 in areas of Oruzgan, Helmand, Zabol and Kandahar. This is why a report by Afghanistan ambassador to the United States, Siad Jawad, was quoted in a report confessing that the government has lost a lot area of control especially in the East of the country (Mazzetti, Perlez, Schmitt, & Lehren, 2010). This could only mean that insurgents are moving freely. Another phenomenon that is alien to the culture of Afghanistan is increased suicide bombings. Suicide is abhorred in Afghanistan and the adoption of the Improvised explosives devises (IEDS) show that the insurgents are coordinating with those in Iraq and that there is growing technological sophistication. The suicide bombs and other gargets used have shown evidence that they are being imported from Pakistan and foreign Islamizes. The unsecured tribal areas in the Northern part of Pakistan are safe havens for the insurgent’s leadership; provide recruits and training ground for all insurgents groups including Al Qaeda, Taliban and HiG (Jones, 2008). The US department of defense and the Kabul government failed to take advantage of the rural Pashtun. The Taliban capitalized on this and have gained a lot of support from them. The US army approached the insurgency in the south as a deductive math’s of reducing the insurgent group to zero as Mazzetti, Perlez, Schmitt, & Lehren,( 2010) says which was a complete failure and played the fighters game instead. In the southern side the insurgents intimated the rural folks by telling those who wanted to support the Us soldiers and Karzai government they will be back. This was done through night letters and a common saying “the Americans have wrist watches but we have got the time” (Jones, 2008). Another thing that is not working well with the Americans trap set by the Taliban where they fight in villages to provoke them. They sacrifice the lives of a few fighters to get sympathy from the local community leaving no space fot the Americans even to start diplomacy. Entangled in this is the element of the local culture of Pashtumwali and badal or revenge as an obligation. This is a phenomenon the American do not understand (Price, 2009). The American and NATO soldiers and marines in the Afghanistan can still win the war in Afghanistan even faced with such odds. There is need to adopt and implement an effective counterinsurgency strategy. This will require a major boost to manpower, equipment and reconstruction resources. The forces of this change which includes to an extent the commitment and involvement of the Kabul government to patiently develop a stable country that is free of terrorism. The involvement of the HTS program cannot be overstressed as the actors in the counterinsurgency need a comprehensive understanding of the country, Taliban and the communities that support insurgency. They need to consolidate a comprehensive understanding of the culture, language and tribal hierarchies in Afghanistan. Support for the insurgency also comes from the notorious Pakistan boarder and the surrounding communities which an HTS should study. This will require support even from the Pakistan authorities which will present problems of its own. The form of support needed here will not come in form of support from the president to the United States, but in taking a decisive step to exercise control of his country. He will need to shut down the border as it also threatens his country’s stability. The United States have been playing in the Taliban’s game plan of “kill nard capture” and this needs to change in order to allow counterinsurgency measures to work. They must start training their soldiers well taking time to teach them the language and culture of the people. This has started with HTS teaching soldiers eating manners and observing Ramadan, all they need to do is put more effort.